Foreign investors continue to have a decisive influence over the Russian stock market. According to Sberbank KIB analysts, they own about 70 percent of free floating Russian shares. But Russian investors are still wary of the stock market after the 2008-2009 crash. At the end of the third quarter of 2013, Russian companies' free float stood at $213 billion, including $121 billion of foreign investors' money, according to the FactSet research agency. Some $29 billion worth of stocks are owned by Russian banks, pension funds and insurance companies, with a further $1 billion, according to Investfunds.ru, owned by Russian mutual funds. Private Russian investors own some 10 percent of free-floating shares, analysts believe. The remaining free float ($42 billion) is divided 1:2 between foreign hedge funds and Russian funds, which do not disclose information about themselves. One third of investors active in Russia are U.S. funds; another third are funds from continental Europe; and the remaining third are U.K. funds. The biggest foreign investor (more than $5 billion) has turned out to be the Norwegian Government Pension Fund, followed by Vanguard Emerging Markets Stock Index Fund (about $4.7 billion) and the Oppenheimer fund (with slightly less than $3 billion invested in Russian stocks). Before the 2008-2009 crisis, foreign investors owned about 60 percent of free-floating Russian shares. Experts believe that the fact that a large share of the Russian stock market belongs to foreign investors is a positive sign. It shows that the market is growing. Although at the same time it creates risks of a sudden capital flight. A rising share of foreign-owned free float of Russian companies is a consequence not only of an increase in foreign investment, but of a drop in Russian players' investment. 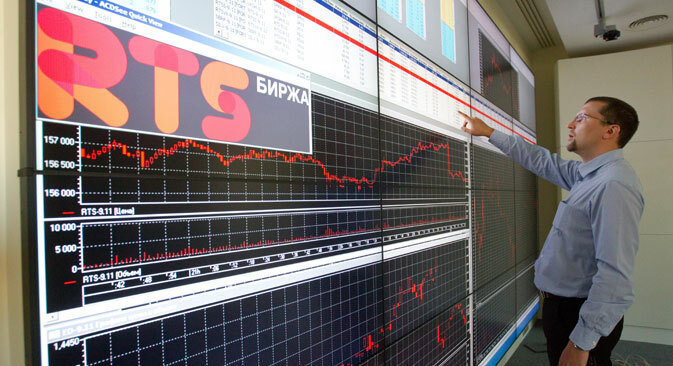 The Kommersant daily estimated, based on Investfunds.ru data, that since the start of 2009, Russian investors have withdrawn nearly $750 million from mutual funds. Simargl Capital director Dmitri Sadovy said that Russian investors have still not overcome the fear caused by the 2008-2009 crash and are therefore reluctant to invest in shares. Their passivity allows non-residents to have such a strong sway over Russian stock market dynamics. "To have a significant influence, domestic investors should own at least 50 percent of the total free float," Sadovy said.